Mikio Matsumoto worked as a commodities broker in Japan, but always had a keen interest in the arts. He became a potter after moving to California in 1985, and found clay to be a good medium for expressing his personal ideas. Mikio’s sense of precision is visible in the meticulously carved jars, porcelain sculptures and carved animals. 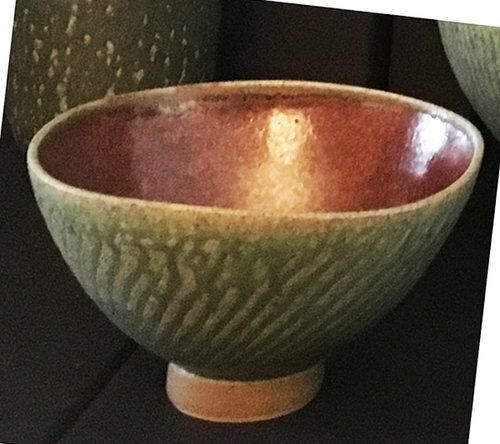 Cheryl Costantini has had a life-long interest in pottery, culture and traditional artistic values. In 1978 she traveled to Japan to study pottery. For the next 6 years she learned her craft by working in three Japanese potteries. Cheryl's commitment to traditon rather than trend is seen in her elegant vases and classic teapots. 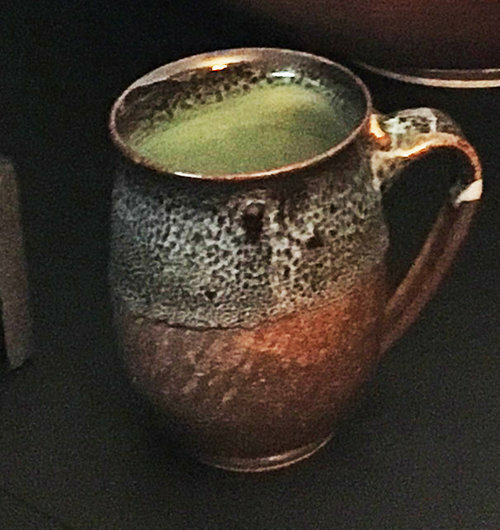 Working as a team and trained for several years in Japan, Mikio and Cheryl have been creatingelegant, traditional porcelain high fire Japanese Folk Art Pottery since 1985.Meticulous carving and Classic tenmoku,ash,copper, and chabuten glazes, meet contemporarydesign. Literally translated, Nicheibei means “Japan and America” They live and work in rural Sonoma County, California, and exhibit both in the United States and Japan. The jade green color of many pieces is unique to Nichibei. The color is achieved by applying a copper glaze to porcelain clay and high-firing it in a gas kiln at 2,400 degrees.